It is important to make sure that your tiled roof is always in good condition. Leaks can emerge if your tiled roof deteriorates, and the longer you leave it, the worse it becomes. At Strongguard, we can help. We offer a wide range of tiled roof restorations, Sunshine Coast wide. Our team consists of industry experts, which means that you get quality solutions, every time. We can undertake any tiled roof repairs in the Sunshine Coast, from preventative maintenance, to leak repairs and even complete roof restorations. In fact, we are among the most proficient diagnosis specialists in the Sunshine Coast. With over twenty years experience, we know exactly how to pinpoint any leaks and damage. This then allows us to provide targeted solutions. To ensure that you are satisfied, we take a service-based approach and we will work with you to establish precisely what you need. Tiled roofs are very popular throughout the Sunshine Coast and they look great. To keep them performing at their best as well, the team at Strongguard offer tiled roof repairs and restorations. We have operated in the roofing industry for more than twenty years, which means that we have a wealth of knowledge and experience. This allows us to effectively identify problems before they even emerge. Once we identify an issue, we will ensure that it is resolved to a higher standard of quality than ever before. At Strongguard, our aim is complete client satisfaction. To achieve this, we go to considerable lengths to source quality materials. In fact, we even source second hand tiles, where necessary, so that you get the exact same tiles for replacement jobs. With each tile replacement or roof repair, you will get quality workmanship and quality products. We don’t just repair your roof – we improve it. There are several steps involved in a tiled roof restoration. Each step serves a specific purpose and must be done in the right way. All the components of a tiled roof – from bedding and capping, to tiles and clips – support each other. This means that the quality and durability of the roof depends on quality workmanship and attention to detail. 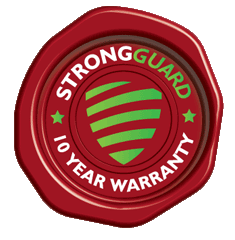 Here at Strongguard we are specialists in roof tile repairs, and our process is designed to provide the best in quality and efficiency. Before we can commence with your tile repairs, we have to make sure your roof is safe to work. To do this, we set up safety rails and scaffolding. Once these are erected, we remove all the old deteriorating tiles from your roof and dispose of them responsibly. After this, it is simply a matter of finding matching tiles to replace them. We have several tile sources, so we are able to match your tiles with replacements most of the time. The caps on your roof are important and must be assessed when we do repairs. To do this, we start by removing the old bedding cement from your roof. When this is gone, we clean the surface to remove and grime or debris. Following this, we lay down new bedding cement, which will form a solid platform for the installation of your new tiles. Before the tiles go on, we install the new caps and apply flexible pointing to them, to avoid cracking. The valleys of your roof are particularly prone to rust. As a result, we often have to replace them. When we do this, we use only the best replacement products. Our replacement valleys are either ZINCALUME® Steel or COLOURBOND® Steel, so they will resist rust effectively in the future. Finally, we will replace lead flashings with Wakaflex flashing, which creates a malleable and tight seal. In addition to that, we will address any leaking clips if required. If your tiled roof is beginning to deteriorate, then act now by calling the team at Strongguard. We take pride in delivering roof tile restorations, Sunshine Coast wide. With over twenty years of experience, we have all the knowledge necessary to transform your roof, in both looks and quality. Our restorations do more than fix your roof; our restorations improve your roof for years to come. #1 Will you change my broken tiles as a part of your restoration process? Our roof tile restorations are centred on bringing your roof back to a standard of quality that’s higher than ever. 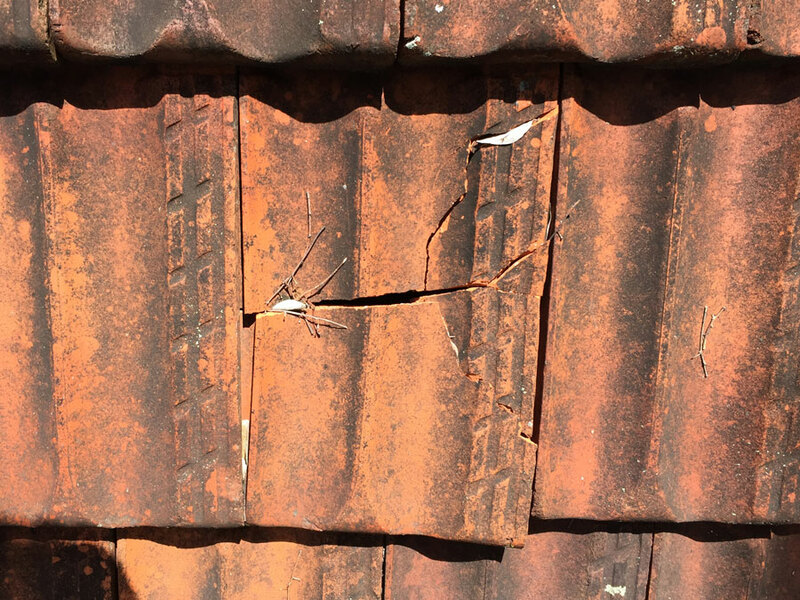 As a part of this, we will assess your roof and identify any broken or deteriorating tiles. Once identified, we will remove these tiles and dispose of them safely, before fitting the ideal replacement. #2 Will your replacement tiles match my current ones? Your roof is a large part of your home and it design appeal. As a result, you probably don’t want parts of your roof to stand out, or look different. Here at Strongguard we recognise this, which is why we will source replacement tiles that are identical to your current ones. We have a number of contacts in the industry that are able to provide us with a broad selection of second hand tiles. This means that we can gain access to almost every type of roof tile in the Sunshine Coast area. In some cases, however, we might not be able to match your roof tiles exactly. If this occurs, then we still have a backup plan. We simply relocate the inconsistent tiles to another area of your roof that is not visible. This means that you get to retain the visual appeal of your roof, while getting a quality repair that you can rely on. #3 Will you fix any leaks in my roof when you restore it? Here at Strongguard, we have developed our roof restorations to ensure that they cover all the bases. 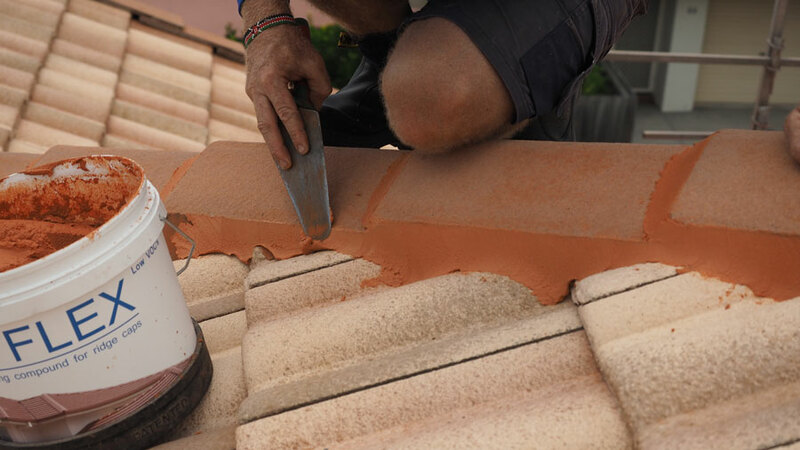 When you book roof tile repairs or roof tile restorations with us, you get industry leading attention to detail and a unique restoration process. Basically, we will assess every aspect of your roof, and work with you to establish a plan. This plan will be tailored to your needs and it will serve to restore your roof. As a part of this, we will inspect and repair everything from faulty clips, to damage tiles. If you are experiencing roof leaks, make sure you let us know, then we will diagnose the precise source of the issue and fix it. #4 What are weep holes and are they an important part of my tiled roof? Weep holes are a very important part of every tiled roof. They are holes that run through the bedding and pointing, to provide an escape for built up moisture. This moisture is normally a result of condensation that forms beneath the ridge caps. Such moisture can cause many issues for your roof, and in some cases it can even cause leaks. Because of this, weep holes are imperative. #5 My tile clips seem to be leaking – can you fix them? Tile clips must be matched with the correct tile, otherwise they will leak. Here at Strongguard, we have encountered poorly matched tiles and clips many times before. As a result, we know precisely which combinations of tile and clip work, and which don’t. Most of the time, you will probably only experience a few leaks here and there. This is easily fixed and we can replace the troublesome clips form inside your roof. If the leaks are spread across your whole roof, then it might be a larger job. 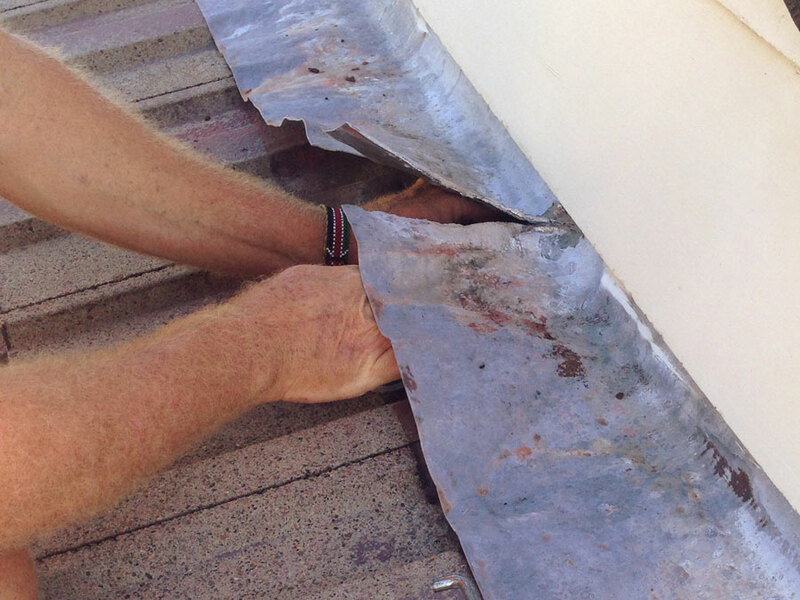 In some cases, it is even necessary to fully re-clip leaking roofs by removing and refitting all the tiles.